Understanding the balance between macro and micro is the key to understanding what makes Starcraft such a global phenomenon. It’s three-dimensional war chess, and we’re just all praying it doesn’t end up an Ender’s Game scenario. A bonus term you might want to know to make sense of casted professional Starcraft games: “supply blocked” refers to when a player cannot make more units until they raise their unit capacity or make more food. The whole match depends heavily on building units, so if your build order or unit production is messed up or halted, it can affect your whole plan, and leave you caught with your pants down. With Terran this is their supply depots, which can be raised or lowered as a wall or choke point. Zerg utilizes their overlords, which have to be hatched at the base and are partially an army unit themselves (lacking any attacks themselves but able to float across the map granting vision). 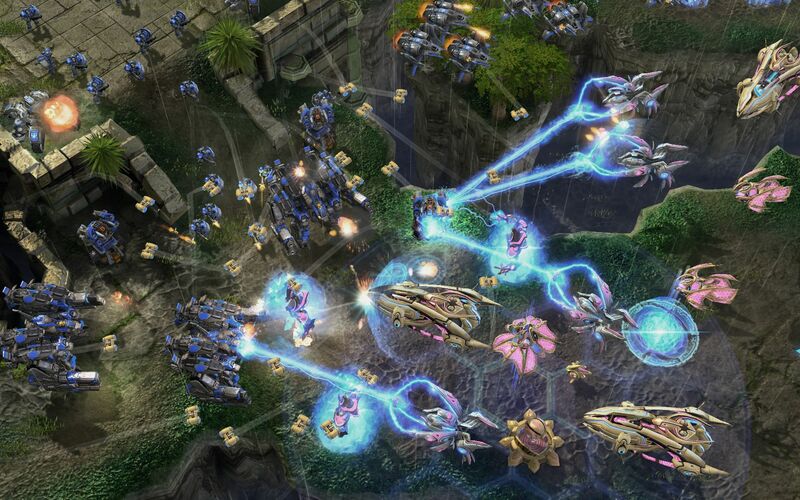 Protoss increases supply cap with a pylon placement, a structure similar to Terran, however pylons are also used to warp in army units after an upgrade to the gateway.